I am Pregnant!!! Can I still drink?? If you might be wondering if having an occasional beer or wine would do any harm to your baby, you must read this. Alcohol rapidly reaches your baby through your bloodstream and across the placenta. Alcohol breaks down very slowly, and stays in the baby's blood much longer than in the mother's blood which can result in harmful effects on your baby's development. This could have an effect on how your baby's face, organs and brain grow. There is no known amount of alcohol that is safe to consume during pregnancy, but the more you drink the more you raise your baby's chances of having problems because there is a constant state of growth and development over the entire period of pregnancy. There is an increased risk of miscarriage and premature birth due to alcohol intake. Excessive drinking can lead to irreversible effects that can result in physical, mental and neurobehavioral birth defects which are for a lifetime. 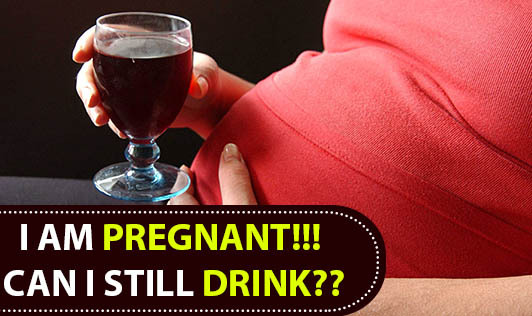 If you are not aware of your pregnancy and have been drinking alcohol, the best thing to do would be to stop drinking immediately. Most pregnant women develop a dislike/aversion towards alcohol in their pregnancy. If you have been a regular drinker so far, try not to keep any alcohol at home. Choose non-alcoholic drinks at social gatherings to completely avoid alcohol. Mocktails, coconut water, green tea and iced tea are some of the drinks you can choose from. If you use alcohol as a stress buster, you will have to look for other stress relievers like a spa massage, a short walk, listen to soft music or even go shopping if that works for you! You don't always need alcohol to enjoy a happy occasion. It is definitely worth giving it up for a healthy baby! Our health expert can guide you with the right advice that is good for you and the baby.